At the beginning of the year, we ushered in a new President and a new Congress and it was unclear what these changes might mean for Pay for Success and evidence-based policy and practice. It is clear now as we wrap up 2017 that this movement—reorienting policy and funding to what works—is showing no sign of slowing down. It has been a very productive year for Pay for Success and evidence-based policy in the first session of the 115th Congress and states and cities have been equally active in their focus and implementation of Pay for Success and evidence-based activities. A number of pieces of legislation have been introduced and moved on a bicameral and bipartisan basis this year in both Congress and across state legislatures, the Commission on Evidence-Based Policymaking completed its work and issued a unanimous report with recommendations for how to incorporate outcomes into federal program design, and the 20th Pay for Success project was launched in addition to a number of new feasibility studies and technical assistance engagements that were developed. 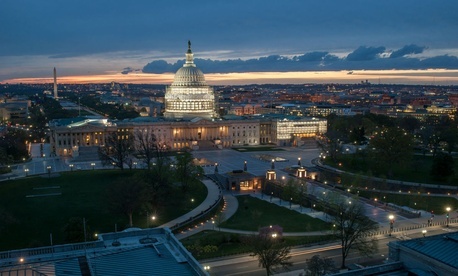 In this end of year update and the ones that have come throughout the year on Pay for Success and Evidence-Based Policy, we provide the latest on Congressional activity, state efforts to advance the use of Pay for Success across human and social services programming, and highlight activities to provide overarching support for the move to an evidence-based approach to policymaking. Evidence-Based Policymaking Commission Act: Representative Paul Ryan (R-WI) and Senator Patty Murray (D-WA) championed legislation to create a commission to develop practices and processes for ensuring the use of outcomes and evidence when making federal policy and budget decisions. The Commission was successfully established after passage of the Evidence-Based Policymaking Commission Act and was tasked with making recommendations for how best to incorporate outcomes into federal program design. Current Status: The Commission completed its work in September with the release of the Commission’s final report and recommendations, “The Promise of Evidence-Based Policymaking”. All materials related to the Commission’s work, including the full text of the final report, can be found here and the Bipartisan Policy Center is continuing this effort in-house through its Evidence-Based Policymaking Initiative to advocate for the implementation of the Commission’s 22 recommendations. Appropriations: In September, Congress and the President agreed to an emergency relief funding bill to cover the damage caused by the Hurricanes this fall and that legislation included an FY18 short-term continuing resolution (CR) that was in effect until December 8th. The bill provided funding at approximately the FY17 level for all functions of the federal government thus averting a potential government shutdown. Current Status: Congress could not agree on a long-term funding package before the December 8th deadline ran out. As a result, another short-term continuing resolution was introduced and is now in effect through December 22nd. At the time of this post, the House has introduced another continuing resolution that will fully fund the Defense Department through the end of the fiscal year but will only provide short-term funding for the remaining appropriations accounts through January 19th. Foundations for Evidence-Based Policymaking: On October 31st, Speaker Ryan (R-WI) and Senator Murray (D-WA) introduced the Foundations for Evidence-Based Policymaking Act (H.R. 4174 and S. 2046). The bill(s) is the first in a series of legislative action anticipated to be taken to implement the recommendations of the Commission on Evidence-Based Policymaking. This bill contains 10 of the recommendations included in the Commission’s final report. Current Status: The House Oversight and Government Reform committee marked-up the bill in early November and it was successfully voted out of committee and the full House on November 15th. The Senate has not moved their legislation yet but action is anticipated either in the end of year efforts or in early 2018. Social Impact Partnership to Pay for Results Act: This legislation was previously introduced in both the 113th and 114th Congresses. A comprehensive Pay for Success bill, the legislation would direct federal resources to states and local communities to support innovative Pay for Success arrangements. In January, led this time by Rep. Tiberi (R-OH) and Rep. Delaney (D-MD), H.R. 576 Social Impact Partnership to Pay for Results Act, was introduced with bi-partisan support. In April, Senators Young (R-IN) and Bennet (D-CO) introduced their version of the bill, S. 963 Social Impact Partnerships to Pay for Results Act. Senators Booker (D-NJ) and Collins (D-ME) were original co-sponsors on the bill. Current Status: Since introduction, the House version of the legislation has added a handful of additional co-sponsors and efforts continue to build support for both bills and identify a pathway for passage of the legislation. Increasing Opportunity through the Evidence-Based Home-Visiting Act: In June, Rep. Smith (R-NE) introduced H.R. 2824 Increasing Opportunity through Evidence-Based Home Visiting Act to reauthorize the Maternal, Infant, and Early Childhood Home Visiting Program. This legislation not only reauthorizes the program but adds an option to use a Pay for Success (referenced in the legislation as Pay for Outcomes) approach to allocating the dollars associated with the program. In the Senate, a bipartisan group of senators introduced their reauthorization bill, the Strong Families Act of 2017, (S. 1829). The bill is very similar to the House version, including the Pay for Outcomes provision, but also eliminates some of the more controversial elements of the House bill. Current Status: The House bill was voted out at the end of September but the Senate has not yet taken action. Unfortunately, the program has now expired and the locally funded programs are at risk of ending if it is not reauthorized. Efforts are underway to try to couple this effort with an end of year spending bill. In October, the Department released their Pay for Success Toolkit. This toolkit provides general information on Pay for Success and discusses important elements to consider during the feasibility phase of a project. It also provides information about the main elements of the Pay for Success feasibility phase and includes education-specific considerations within each phase of the work. Through the Social Innovation Fund (SIF) at CNCS, almost $35 Million federal dollars have been leveraged by a 1:1 match of private dollars to grow community solutions with evidence of results. Through the CNCS SIF Pay for Success program, funds are provided to nonprofit organizations and state and local governments to study and develop Pay for Success projects in order to determine if and how funding for social services can be tied to the achievement of long-term outcomes for true impact in low-income communities across the country. A number of new SIF-funded efforts have been announced recently. Third Sector Capital Partners, Inc. and Actionable Intelligence for Social Policy: With the support of a 2016 Social Innovation Fund grant of $2.4 million over three years, Third Sector and AISP at the University of Pennsylvania are providing five governments with technical assistance to develop both Integrated Data Systems (IDS) and a flexible, scalable contracting model based on measurable outcomes. This effort is an important first step in transforming these governments’ capacity to target valuable resources to serve the two-generation needs of vulnerable children and families. Social Finance: Social Finance announced the second round of its Outcomes Rate Card Development Competition help governments scale solutions to society’s most pressing challenges by employing Pay for Success to shift the procurement focus from outputs to outcomes. Local, state, and tribal governments, as well as nonprofits, are invited to apply between now and January 31, 2018. Four applicants will be chosen and will receive free, in-depth support over 12 months to develop an outcomes rate card, issue an RFP to procure for service providers, and launch the resulting Pay for Success projects. There are upcoming webinars for those interested and the application along with all details about the competition can be found on the competition webpage. JPAL North America: Applications are being accepted for technical support and pilot funding through the third round of the J-PAL State and Local Innovation Initiative, which supports state and local leaders in using randomized evaluations to answer their priority policy questions. The deadline to submit Letters of Interest is March 2, 2018. J-PAL North America will host a webinar on Tuesday, January 23, 2018, at 1 pm EST to share more information about the initiative and how to apply. Governments selected to participate in this initiative will receive flexible pilot funding of up to $100,000, pro bono technical support from J-PAL North America staff, and connections with experienced researchers from J-PAL’s network. There were a handful of new Pay for Success projects launched in 2017. In just the final three months of the year, there were four projects launched in Alameda County, CA, Los Angeles County, CA, Ventura County, CA, and King County, WA, which now puts the total number of Pay for Success projects launched in the United States over 20. In addition, the first round of results for the Denver Housing to Health Pay for Success Initiative were released in October. The aim of this project is to provide needed supportive services that will help keep Denver’s homeless population out of the criminal justice system while providing stable housing to those in need. The evaluator, the Urban Institute, found that the program is meeting early targets—participants are getting and staying housed. A new trend this year that we will be following into the new year is the inclusion of Pay for Success and evidence-based policymaking as a topic in the context of election debates. There are a number of examples from city council to mayoral races this year that may serve as a foreshadowing of what the 2018 mid-term election season may hold for these important topics. In the new year, we will continue to hold our bi-monthly update calls and provide these regular blog posts on all of the great work going on at the federal level as well as in states and counties across the country in this space. We are excited for what progress has been made and hopeful for what lies ahead for evidence and outcomes-based policy and practice. If you are interested in learning more about Pay for Success and evidence-based policy or America Forward’s related advocacy efforts, please contact America Forward’s Government Affairs Director, Nicole Truhe at Nicole_truhe@newprofit.org.